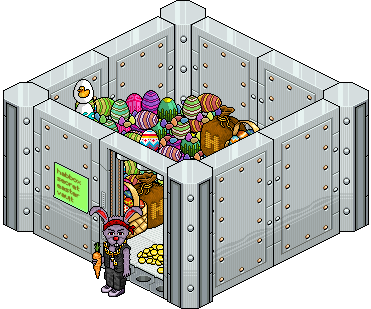 Thread: Habbox Easter Eggstravaganza 2019 - COMING SOON! [HxEE] Habbox Easter Eggstravaganza 2019 - COMING SOON! 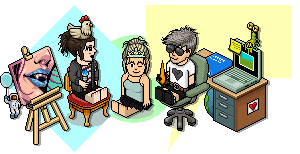 We sat down to plan this year's Easter event and went into the Habbox vault. But what did we find? ALL our eggs were gone. All of them!! What can we do now? Thanks to some SUPER sleuth work we managed to find the culprit. THUGS BUNNY. But now we need to GET DEM EGGZ back!! Can you help us find them? He's literally hidden them everywhere. Our departments have lined up some fab events for you to take part in to win eggs. And what do eggs mean? PRIZES! Can you help save Easter this year? Last edited by Ozad; 19-04-2019 at 08:57 AM. Habbox Easter Eggstravaganza is fully underway! Click here for the main thread!